My magnolia has been in the ground for four years, with no blooms. I know Holly tone is a great fertilizer for it. I also know magnolia takes about four years to bloom. totally mess the lawn area up? Thanks L.S. Answer: Magnolias are wonderful trees and definitely add a southern flare to any landscape. They are very adaptable to many soil types but prefer an acidic and slightly moist soil. You might start by checking your soil pH with one of our soil test kits. Magnolias’ preference is somewhere in the 6.1 to 7.5 range. If your soil acidity is too low try adding some Hi-Yield Aluminum Sulfate. These trees also prefer a full-sun location, as well. 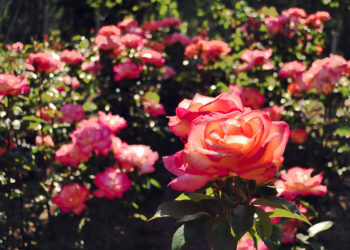 The other big factor in bloom time is which cultivar you’ve planted, which you didn’t mention. If you bought it without a tag then chances are it’s a common woods Magnolia grandiflora and these can take up to 15 years to bloom. 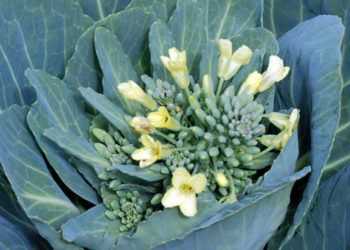 The newer cultivars that you can purchase from nurseries or growers have been bred to bloom in a shorter time frame, each one slightly different. Little Gem, a smaller magnolia, gets started blooming in about three years. Other popular cultivars like Bracken’s Brown Beauty, Edith Bogue and Majestic Beauty are bred to bloom in three to five years. As for fertilization, one source from a southern university extension office recommends during the first three growing seasons to apply light frequent fertilization. Measure out from the tree trunk three times the canopy width then broadcast 2 cups of an 8-8-8 or 10-10-10 fertilizer per 100 square feet in March, May, July and September. After that reduce this application frequency to once or twice a year. It was also suggested by one grower to apply doses of a liquid acid fertilizer a few times during the year.